While electricity is a wonderful aspect of modern life, it can be dangerous if we aren’t careful. Electrical fires are a common occurrence in India, causing injuries, claiming lives, and resulting in losses of property. The majority of electrical fires are a result of old wiring and faulty outlets. Damage to appliance cables and extension cords and plugs can also lead to electrical fires in the home. To help prevent electrical fires in your home, it’s important to check your electrical appliances and wiring on a routine basis. Use the following information and safety tips. Damaged extension cords, electrical conductors or plug wires. Use of modified, unapproved or faulty electrical equipment. Insufficient clearance between combustibles and electrical heating equipment. Running power cables through walls to a wall-mounted TV. Consider having the wiring inspected in your home if you live in a house that is over ten years old. Always follow the usage instructions on all appliances. Fix electrical or appliance problems right away. Use caution if fuses blow often. Never place electrical cords under bedding or rugs. Sparks or heat from the wiring can cause a fire. Check labels on lighting fixtures and lamps to ensure you are using the right size bulbs. Check the label on the fuse box to ensure you are using the right size fuses. Always cover unused electrical outlets with plastic plugs. Do not overhaul electrical outlets. Extension cords should not be used as permanent cords in homes. Routinely check your electrical appliances, electronics and wiring for signs of damage. Replace all damaged, old, or worn appliance cords immediately and do not use appliances with frayed wiring. Keep electrical appliances away from wet counters and floors. Be cautious when using electrical appliances in the kitchen and bathroom. Do not allow children to play with or around electronics or electrical appliances. Keep curtains, clothes, and other combustible items at least three feet away from heaters. 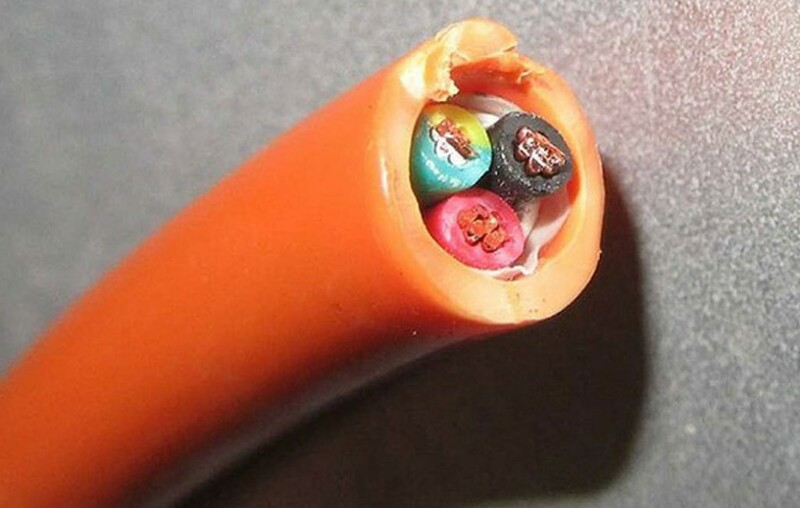 Learn the wiring colors and be sure to follow all instructions given by the manufacturer when fitting a plug.